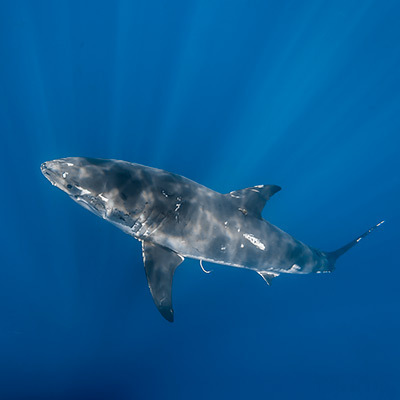 Lucy, a female great white shark (Carcharodon carcharias), is one of the easily recognizable sharks at Isla de Guadalupe due to her deformed caudal fin (tail). It is believed that Lucy’s tail was bitten by another white shark and it healed back in the unique manner that you can see in this photo. Despite the injury to her tail, Lucy remains at a healthy weight. 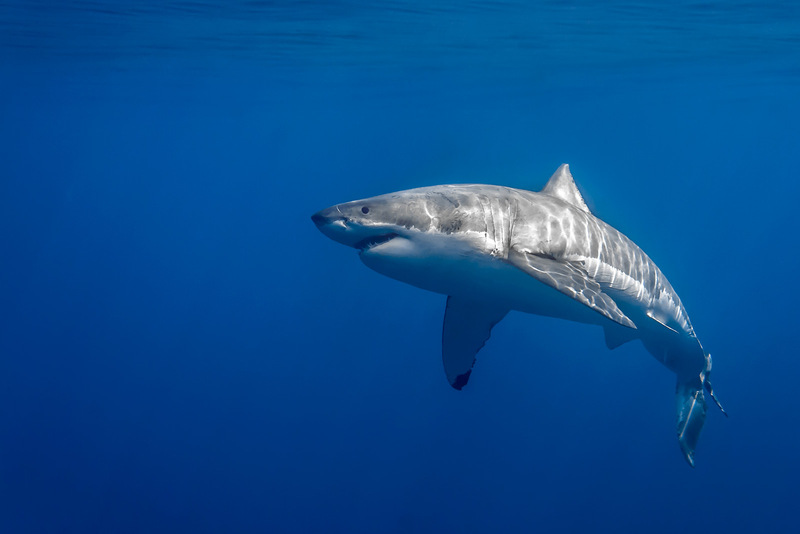 She has a modified method of swimming that involves her swaying more of her body than a typical white shark does. I first saw Lucy in 2008, and her caudal fin was already deformed back then. 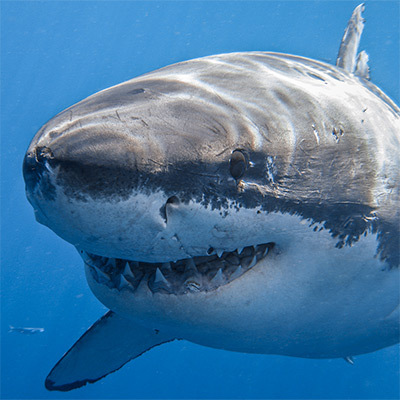 She was seen as recently as 2014 at Isla de Guadalupe.